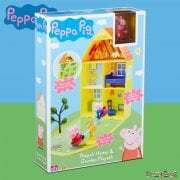 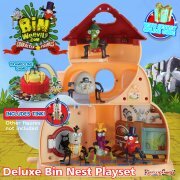 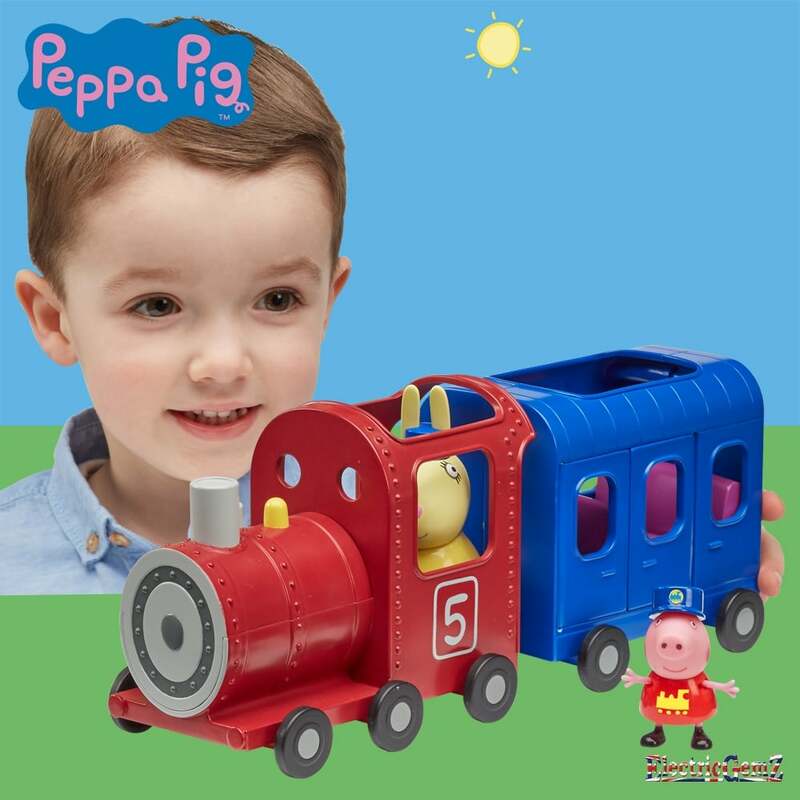 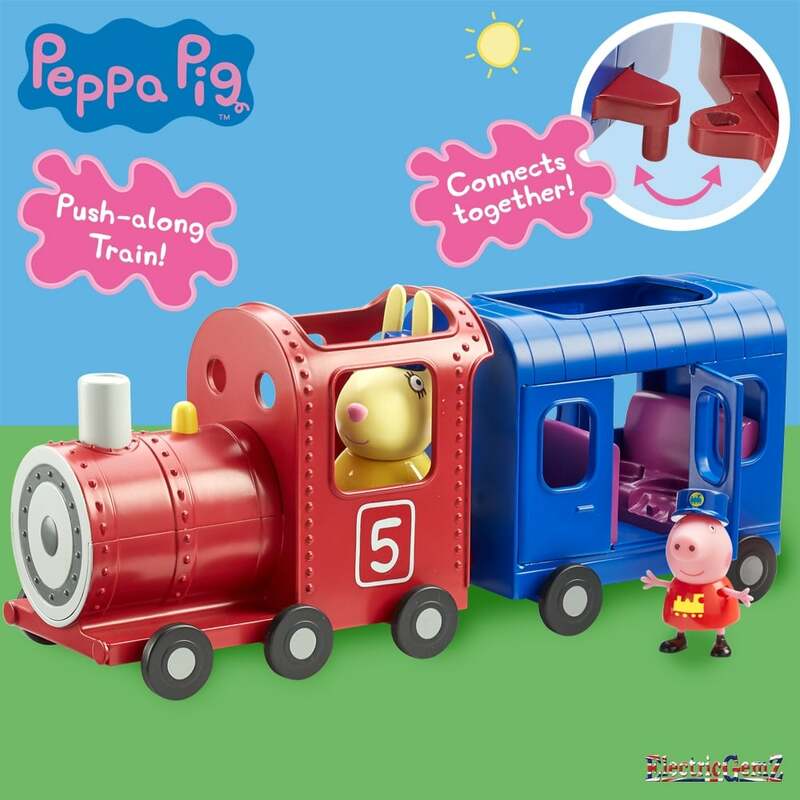 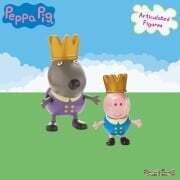 Take Miss Rabbit and Peppa articulated figures on this free-wheeling train. The carriage attaches to the train and you can open up the doors to put the passengers inside! 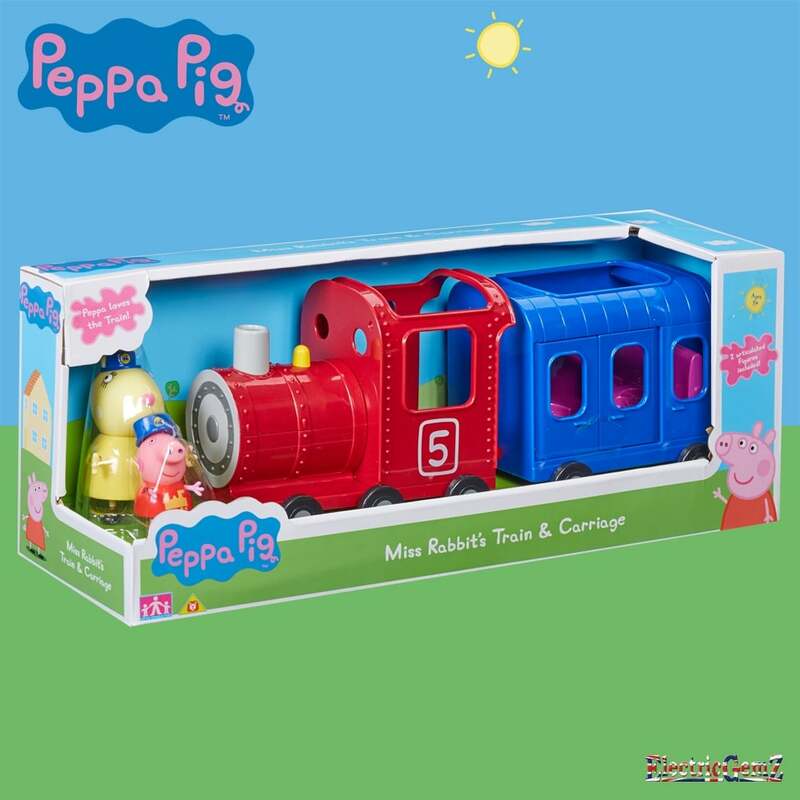 Suitable for ages 3+, this cute and chunky design is perfect for little hands.